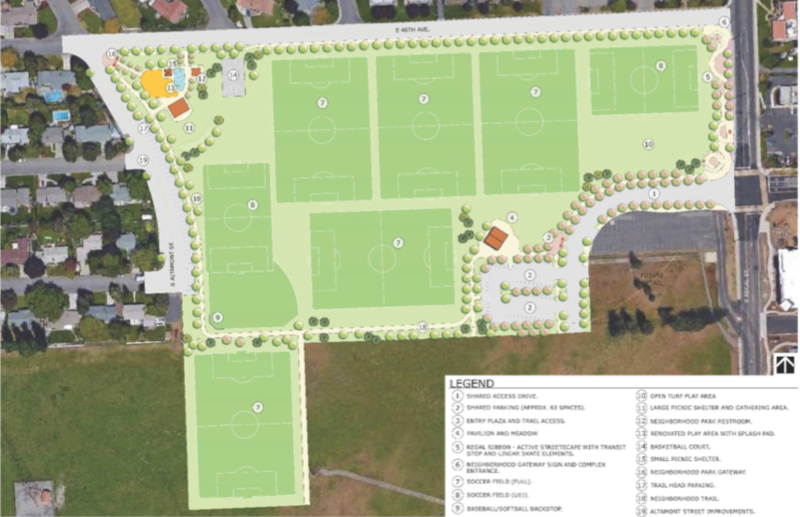 On Wednesday, August 22nd, the Spokane Design Review Board will hold a Collaborative Workshop to review the plans for Phase I of the renovations of the Southeast Sports Complex. The meeting is at 5:30pm in the Council Briefing Center at City Hall. The Parks Department is acting on the Master Plan developed a couple years ago and includes new amenities like a splash pad, updated playground, and amphitheater/performance space. It will also coordinate with the improvements being installed as part of the KXLY development. There are some slight changes from the earlier plan, the softball fields have mostly been removed and the trail component is better defined. 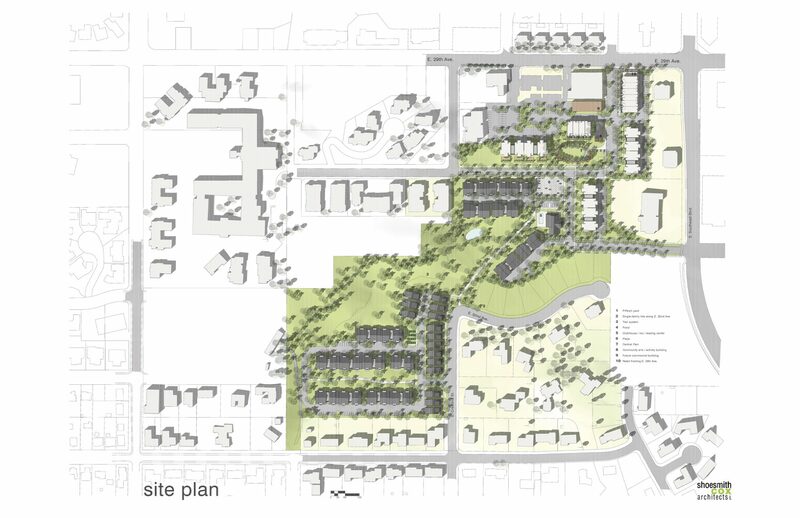 You can read the submittal from the Parks Department and the report developed by City staff about the design here. Public comments will be taken in person at the Design Review Board meeting and can also be submitted to City staff Dean Gunderson or DRB Community Assembly Liaison Kathy Lang.